In her most exhilarating moment so far, as she walked off, her heart filled with a million emotions, she looked back at the track once; an intimate moment which for 50.79 seconds will now hold one of her best memories, locked into the recesses of her mind, set for constant views on YouTube channels, thousands of Twitter handles and fuelled by millions of Facebook views. 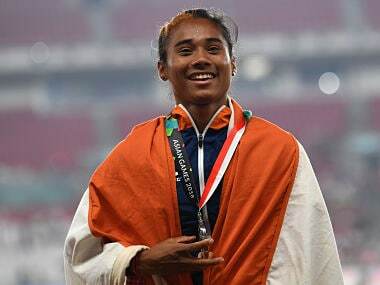 Hima Das in those 50.79 seconds became the 9th Indian woman to win a 400m Asian Games medal; and only the 5th to win silver. The only gold medallists in the 400m flat have been Kamaljeet Sandhu in 1970 and PT Usha in 1986. 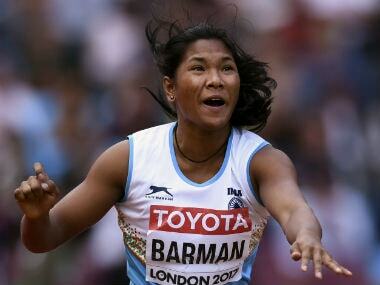 Hima had qualified for the final with a national record of 51.00 sec bettering the 14-year-old mark set by Manjeet Kaur (51.05) in Chennai in 2004 and 50.79 wasn’t just about bettering the national record twice in as many days but a marker that she is a special talent. There is huge pressure in that cauldron of a stadium, lights burning into your sockets, tension stretching your skin as you control every cell, fibre in your 18-year-old body; the fans knowing you are the World U-20 champion. 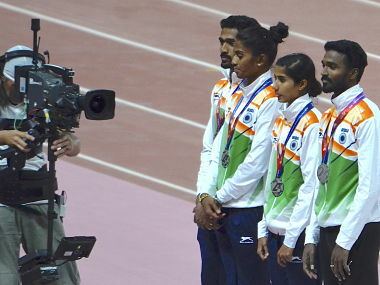 And it is all set up as the announcer calls out each name, as heart beats gallop and suddenly you are faced with the actualities of your age, inexperience of running big finals and that ‘moment’ where you actually feel ‘I may not be able to do it.’ “There is huge pressure,” admits Hima. “And I feel it just before going onto the track that I may not be able to do it.” She adds: “But once I am on the track, it all recedes away.” That would be what arguably the best 400m coach in history, Clyde Hart would say is the best quality of a runner. It’s the toughest part actually – keeping the mind away, for the runner to emerge as the physical being becomes one for the most gruelling track event which is neither sprint nor endurance but an energy sapping, soul destroying; a killer combination of both. Nervousness was still evident. But when you have Salwa Eid Naser on the outside, nervousness is a by-product of probably your biggest night in track and field. After a smooth start, it was evident that Naser wasn’t just running, she knew every inch of that stride pattern; perfectly laid out, no extra energy burning, no additional fuel required, just effortless, fluent, fluid running; the stride pattern so much in sync with the rotation of the shoulders. Naser and Alyson Felix (6 Olympic Gold and 11 World Championship Gold) have so much in common when it comes to the lower body movement. They purely glide, all sinewy and momentum taking them past the finish line. At the 200m mark, it was a race where seven runners had to catch up with Naser. On the turn, she was kicking into an unseen gear as Hima pressed on the accelerator. But this wasn’t the U20. This, in a way, was her first appearance on the senior stage, her debut, unveiling on the larger platform with more to come. Hima desperately saw the yawning gap, kicked in more effort, closed the gap but Naser was already decelerating, tape in sight as Hima in that split second after 350 metres realised the difference between a 2017 World Championship silver medallist and winner of four Diamond Legs in 2018 and her World U20 Gold, burning ambition despite the slick polish of enthusiasm and youthful energy. It also makes us think that Naser would now be her main opponent when you compare both their age – Hima’s 18 to Naser’s 20. Their paths will collide at various championships especially at the 2019 World Championship and then the holy grail of athletics, the 2020 Tokyo Olympics. History’s greatest 400M runners have always been the sprinter types — in the men’s Michael Johnson and in the women’s Marita Koch and more recently Alyson Felix who has timings of 10.89 in the 100m and 21.69 in the 200m. 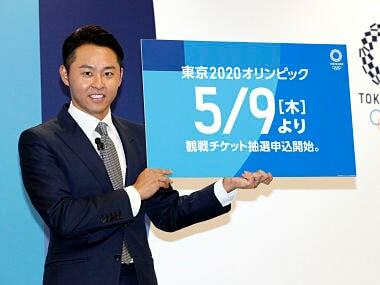 It is over these distances that Hima would also have to improve. Yet every coach comes with his or her own theory. Some like Cuban legend Alberto Juantorena use more endurance than just sprinting ability: At the 1976 Olympics in Montreal, Juantorena won gold medals for both the 400m and 800m - a feat still unmatched. Americans have dominated the 400m podium at the Olympic Games and the World Championships. But in the last two decades, the gold medal has traversed the globe – Shaunae Miller-Uibo (BAH) (Rio, 2016), Sanya Richards (USA) (London, 2012), Christine Onuruogu (GB) (2008, Beijing), Tonique Williams Darling (BAH) (Athens, 2004), Cathy Freeman (AUS) (Sydney, 2000), Marie Jose Perec (FRA) (Atlanta, 1996) and Marie Jose Perec (FRA) (Barcelona, 1992). So what are the chances that in the globe-trotting of the 400m that at the 2020 Olympics it might be Asia’s turn – Hima or Naser? No Asian has ever stood on the 400m podium in an Olympic Games. In winning silver at the 2017 World Championships, Naser has not only given hope but street-lighted the path for runners like Hima to dream big. 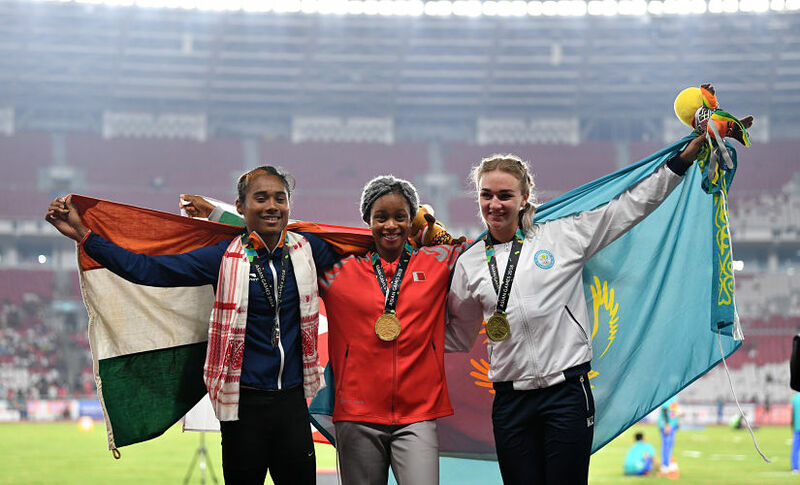 Naser won gold at the 2015 World Youth Championships and with a personal best of 49.08, she is the athlete to beat in the run-up to the World Championships, Tokyo Games and up till the 2024 Olympic Games. Technically, Hima seems to be on sound ground. She doesn’t sprint off as we saw in the World U20. She keeps some for the latter part aside. Speaking on tactics in another interview, Clyde speaks about the biggest mistakes 400m runners make: “There is no bench to take a rest on in lane 9, so don't go out too fast. If you are slow at 200m you have got time to make it up. If you are too fast you have got a problem.” In the U20, Hima had time to make it up, catching with the lead runner and then blazing down the straight. In the final, on Sunday, she did all perfectly except in Naser, she found a world class runner. It made Naser at 19, the youngest ever woman to reach the podium over 400m at the IAAF World Championships. 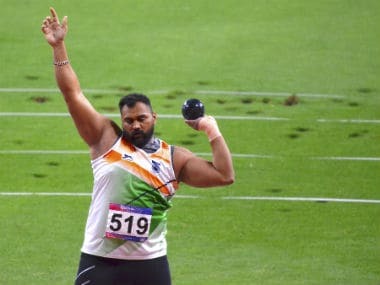 Something similar could be in store for Hima at the 2019 World Championships in Doha. It’s tempting to see the parallels between Hima and Naser, their paths kind of co-extending into each other. In Hima, there is a determination, a belief. She does have the contours of an unhewn rock. Yet, she is an athlete for the big occasion, the athlete with an extra dimension, fearless and not easily intimidated.